The app market is thriving, and that is opening up more opportunities for app development. However, despite a significant uptick in app downloads, this doesn’t mean users actually interact with your product. about 24% of apps downloaded are used only once. The problem lies in user engagement. It turns out that creating a great app is just part of the game. That’s why marketers turn to app analytics. It lets them measure app usage and optimize the user experience to boost customer acquisition and retention. And if you want to acquire an accurate picture of your app engagement while mapping customers’ journeys across web and mobile, you need the right data. Considering the growing concern about data protection and privacy restrictions in today’s digital ecosystem, this means you’re heading down a bumpy road. The good news is that you can buckle up and drive smoothly if you choose a reliable and comprehensible solution. That solution is self-hosted app analytics. Maintaining high safety and privacy standards is no easy task. Your organization most probably operates within strict protocols and policies that determine who can access certain data and information you collect. By choosing self-hosting deployment, you make your job easier as you can store, process, and archive data on your own servers or other ones of your choice. This way, all processing takes place under your watchful eye. What’s more, developing software in your stack and introducing new technologies to an organization involves the burden of more security issues. This is because the responsibility of handling data is shared with someone else. 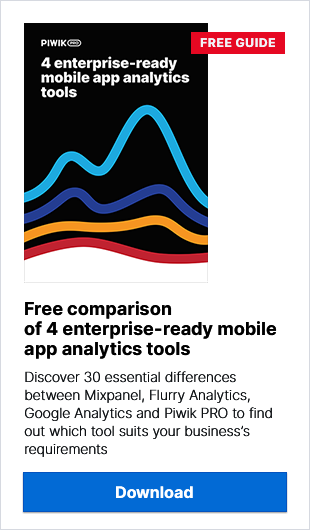 However, with app analytics hosted on your own infrastructure there’s far less need to worry. Of course you should be careful, but after all, you keep 100% control and ownership of your data. It’s entirely up to you how the data is managed. So you can be sure no data is shared with third parties, and you can establish robust security standards and policies. If you’re a part of a digital ecosystem, you realize that data security is a valuable commodity. It should be a cardinal principle of your company. The problem of data safety is especially acute with organizations operating in the banking, finance, health, and governmental sectors. Not only do they handle a wealth of personal data, but also sensitive data – and that comes at a higher risk. 70% of financial institutions regard security concerns as one of the biggest impediments to mobile banking adoption, as revealed in a survey taken in five of the Federal Reserve Bank districts in the United States. Keep in mind that the safety of your customers’ data lies not only in protection and setting access rights to it. You also need to consider what kind of data you aggregate and how you manage it. Experts in various IT fields stress that among the numerous dimensions that impacts data quality, the most prominent ones are accuracy and completeness. You need to be sure that the data you collect represents exactly what happens on your mobile app or website. Also, you should be able to tap into precise information from across your whole digital business so you can better measure, analyze, and grasp it. On-premises app analytics should be a key tool in your marketing arsenal. But maybe you want to know more about how to optimize the customer journey across web and mobile – because of the complexity of the issue, we’ve only provided an introduction here. So if you have any questions, don’t hesitate to drop us a line. We’ll be more than happy to fill you in on all the details.